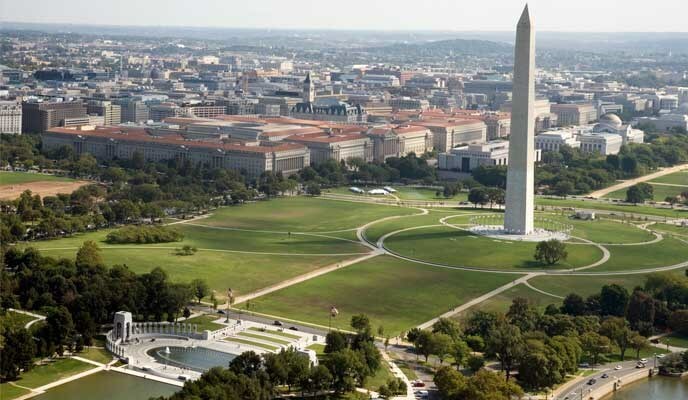 5 Must-See Attractions and Sights for Student Groups in Washington D.C.
Home » Print Editions » 2019 Edition » 5 Must-See Attractions and Sights for Student Groups in Washington D.C.
Washington D.C. makes for an ideal trip destination for student groups of any age and size. The U.S. capital city has so much history, significance and beauty to offer that trip leaders and students alike will never want to leave. Student groups of any type will have no trouble finding ways to fill their time in Washington D.C. Proudly claiming an abundance of monuments, memorials, and historical governmental buildings, the city provides plenty of options for trip leaders to choose among when scheduling the group’s itinerary. We understand, however, that the multitude of options and the desire to make your students’ time in D.C. both fun and educational can make planning overwhelming. To help ease the stress, we’ve compiled our top five list of can’t-miss sights you should make a priority to visit in the nation’s capital. Get an inside look at the home of our country’s president and family when you visit and tour the White House. Due to security and privacy reasons, entrance into the building requires advance approval from your congressperson and gets you access to a self-guided tour of many of the famous main floor rooms, including the East Room, the Red Room, the Blue Room and the Green Room. Tours typically run Tuesday- Saturday mornings to early afternoons and end at the building’s front gates, so visitors can take pictures in front of the iconic national symbol. 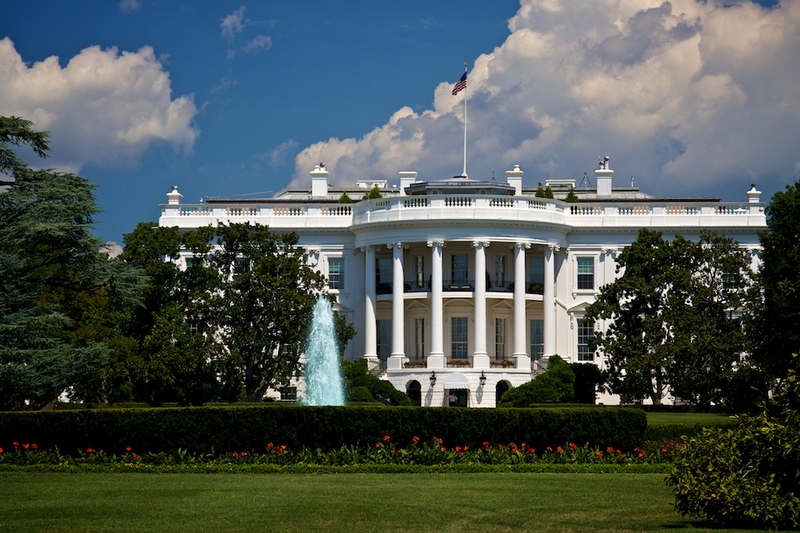 For more information about tour procedures and regulations, visit the White House website. Another iconic symbol of the country’s history and a distinguishing feature of the city’s skyline is the Washington Monument located on the National Mall. Building began in 1848 to construct this 555-foot-tall obelisk in honor of the first U.S. President, George Washington, but encountered budget issues soon after construction began due to wars and political turmoil at the time. 40 years later, the marble and granite monument finally opened to the public and was the world’s tallest structure for the next five years. Today the monument remains a source of pride for both the city and the country and keeps the titles of world’s tallest stone structure and world’s tallest obelisk. The monument is currently closed for construction to repair its elevator and modernize the interior structure, but is scheduled to reopen in spring 2019 in time for the cherry blossoms to bloom. Although visitors will be unable to ride to the top of the monument’s observation deck until then, the monument is still impressive and humbling to view from any spot on the ground. For project updates, visit the National Park Service’s website. No place blends Grecian-inspired arches and columns, grand staircases and ornately painted ceilings with literature and history quite like the Library of Congress. One of the best ways for visiting groups to experience this building’s architecture and understand its significance is through a tour of the Thomas Jefferson Building, the main of the library’s three buildings. One-hour public tours are available on a first-come, first-serve basis for groups of fewer than 10 people, but groups ranging from 11-60 people can also reserve guided tours here. The tour takes visitors to the pride and joys of the library and its collection, including the Main Reading Room, the Waldseemüller Maps, and the Gutenberg Bible. The library also offers specialized tours for groups of 10-25 people with themes such as Thomas Jefferson, World War I, indigenous cultures in early America and music and performing arts. 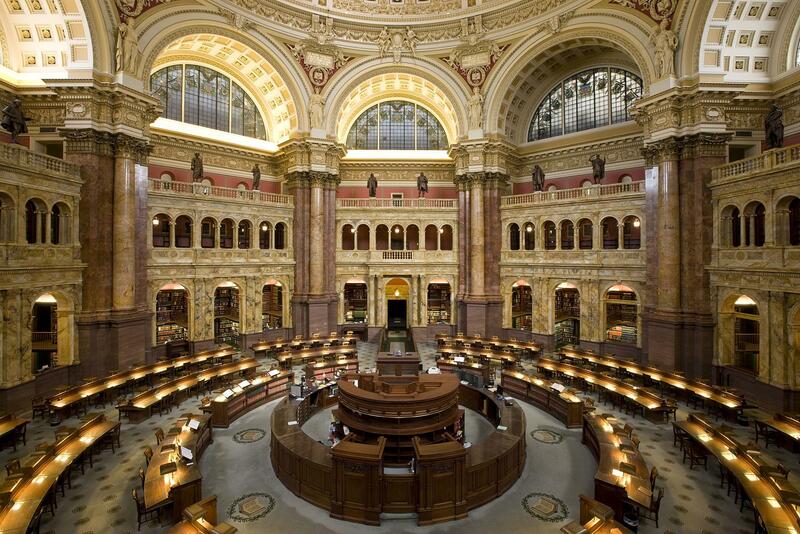 To learn more about visiting the Library of Congress, check out their website. 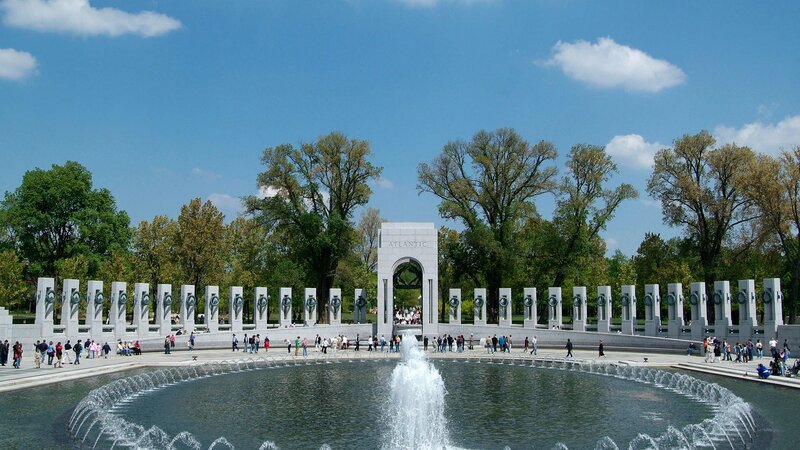 Perhaps one of the most stunning, well-thought out, and significant memorials found in the city, the WWII Memorial will leave a lasting impression on you and your group. Located on the National Mall, the memorial offers clear views of the Lincoln Memorial and Reflecting Pool to the west and the Washington Monument to the east. The memorial was built in 2004 to honor the 16 million soldiers who served during the war, the over 400,000 of them who were killed doing so and the millions of Americans who supported the troops back home. The structure consists of an oval fountain surrounded by two separate semi-circles of 28 stone pillars and a center archway on each end. The two arches feature bronze Baldacchino sculptures and represent both the war in the Pacific theater and the war across the Atlantic. There is a pillar to represent each of the forty-eight states and seven territories that collectively made up the United States at that time. Additionally, on the west side of the plaza lies the Field of Stars wall comprised of 4,048 gold stars, each one representing 100 Americans killed in the war. The memorial is free and open to the public at all times, but to learn more information, you can visit the National Park Service’s website. 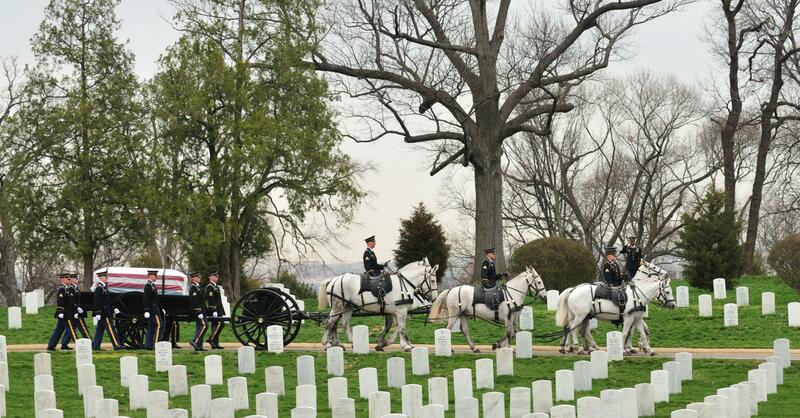 Across the Potomac River into Virginia lies the Arlington National Cemetery, a famous D.C. landmark that honors hundreds of thousands of American soldiers who have passed away after serving their country. Groups can choose to purchase tickets for a bus tour that makes stops at the U.S. Marine Corps War Memorial, U.S. Coast Guard Memorial, Robert E. Lee Memorial, William Howard Taft gravesite, John F. Kennedy gravesite and the Tomb of the Unknown Soldier, or can walk through the cemetery to these notable sites. At the Tomb of the Unknown Soldier on the plaza of the Memorial Amphitheater, visitors can watch as a guard paces in front of the white marble sarcophagus, protecting the remains of the fallen soldiers from harm. At the top of the hour every hour between October 1st and March 31st and at every half hour between April 1st and September 30th, the guards will enact the intricate Changing of the Guards Ceremony in which they reaffirm their dedication to protecting the tomb. Groups can also submit a request for four students to participate in the honorable Wreath Laying Ceremony at the tomb to signify their own respect for these soldiers. Interested groups can learn more about the cemetery here.